Talk about the ultimate in luxury sailing. The Thunderstorm, a 2009 Eleuthera 60 is a spoil-yourself-silly kind of catamaran. This extravagant boat has 4 double-bed cabins, 6 bathrooms, heating and air-conditioning, and a large living and eating area. The kitchen comes fully-equipped with an ice maker, dishwasher, ceramic stove, microwave, 3 refrigerators and, for those days that you reel in something from the sea, you can slap it straight on to the barbecue. Sailing the Adriatic has never been this good. For nights spent on board, sip wine in the elegantly lit salon, or kick back and watch some television, there are 4 on board. 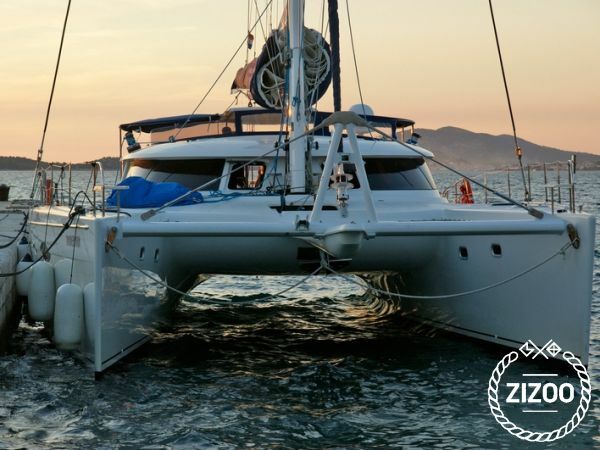 And if youre looking to really just chill out and relax, you can hire a skipper to take you to some of the best locations up and down the Croatian coast. For any and all information regarding destinations and sailing in general, the accommodating crew are always there to help.